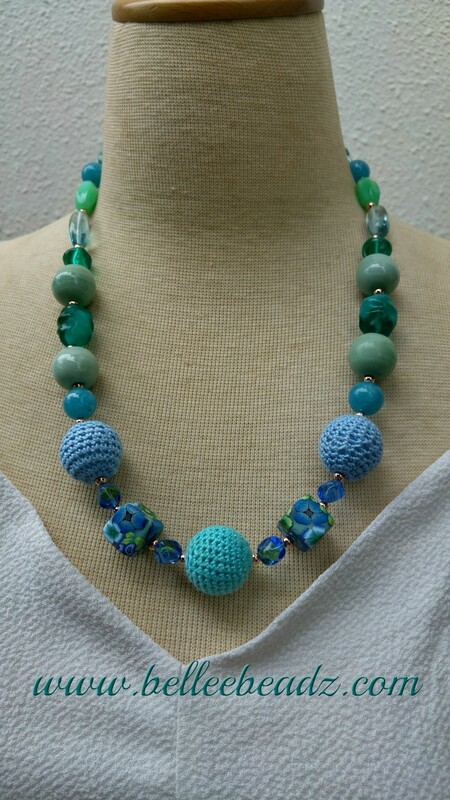 This will cross oceans to reach a lovely lady in the US of A who requested a necklace in shades of green/blue. 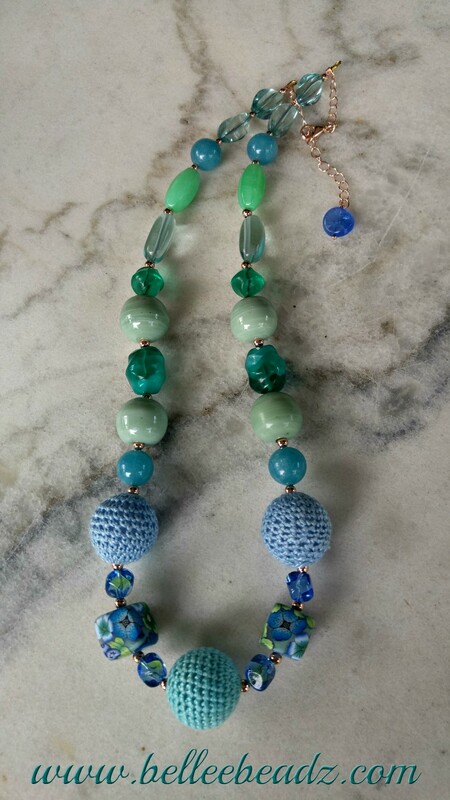 A combination of polymer clay, Czech glass, agate and crotchet covered wood beads. Rose gold plated metal components.